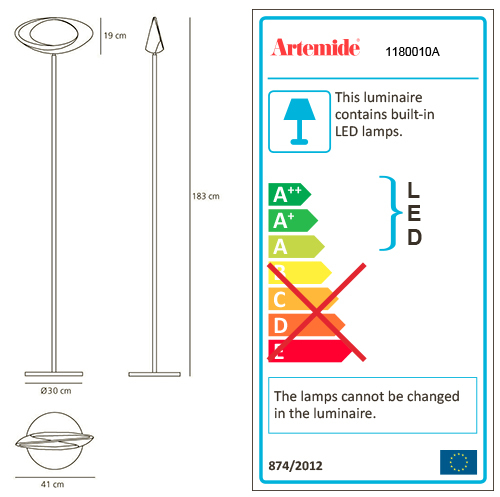 ARTEMIDE CABILDO is a floor lamp. Steel base and stem; body lamp in painted die-cast aluminium. The indirect light shapes the body lamp, bringing out its winding form and giving it the astonishing appearance of a ring of light. With dimmer. Integrated LED not replaceable, 2700K, 45W, 2641lm, CRI=90.